Bob is the author of the book CREATIVE STRATEGY GENERATION, the creative force behind the THEATRE OF LIFE music project, and the founder of STRATEGY GENERATION COMPANY. 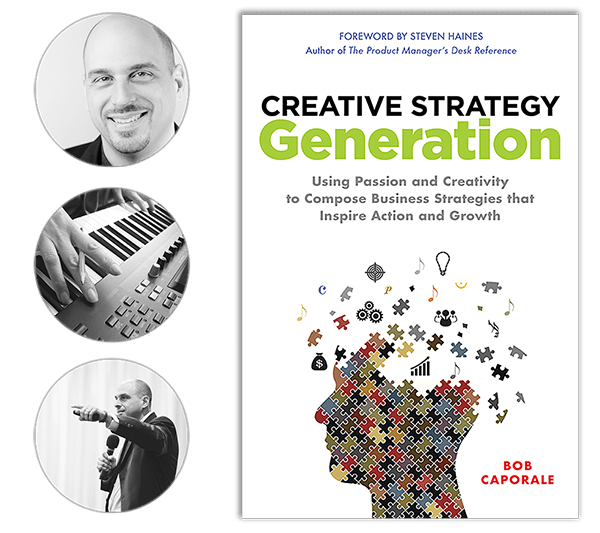 In his latest book, Creative Strategy Generation, Bob Caporale explores the parallels between the business process of strategic planning and the creative process of writing music. Bob Caporale’s music composition and performance skills can be heard throughout the Internet on the many musical and soundtrack projects that he has been involved in. Bob Caporale is a dynamic keynote speaker, incorporating his passion for business, music, and entertainment into all of his presentations and performances.